The Lodge features 35 guest rooms and the 3,600 square foot Mike and Lib Patrick Conference Room. This wonderful facility will provide the perfect location for your adult or professional group. Furnishings in each Lodge room include queen-size beds, ironing boards and irons, a large dresser, a nightstand, and a writing table with two comfortable wing chairs. Wifi Internet access is available throughout the building and in the Mike & Lib Patrick Conference Room. 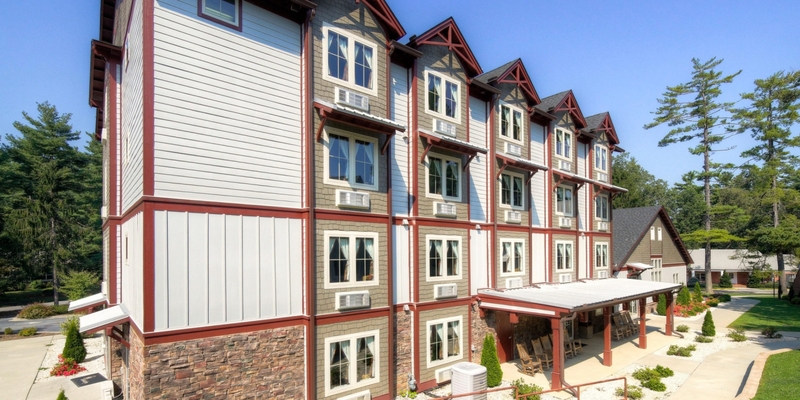 The Lodge is equipped with special needs accessibility features including wheelchair ramps, wide doors, roll-in showers, and other features to ensure accessibility for those who are physically limited.